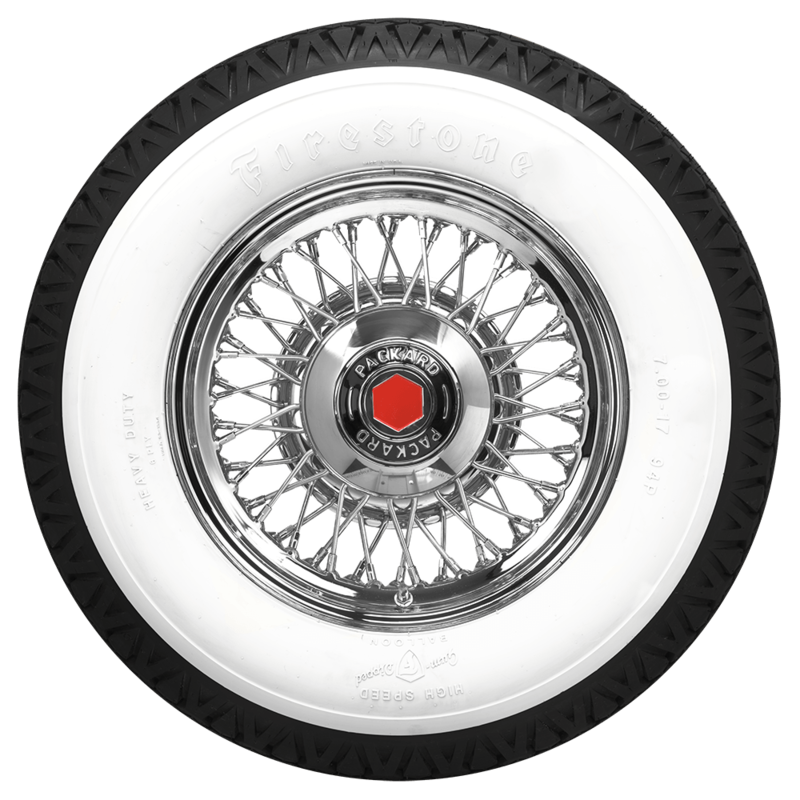 Some consider Firestone Bias Ply Balloon tire in whitewall to be the ultimate icon of the roaring twenties. The fabulous style of those automobiles was punctuated with the elaborate tread pattern and booming wide whitewalls of the Firestone Balloon. 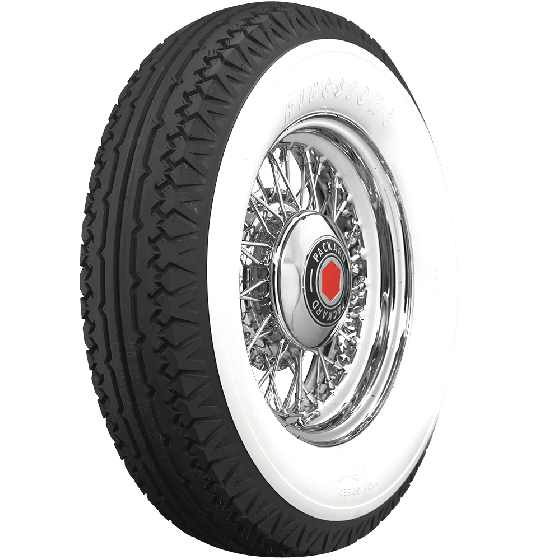 Balloon Firestone Whitewall tires were original equipment of many legendary automobiles from the late twenties and early thirties, an era when automotive design and high style defined the automobile industry. Duesenberg, Auburn, Cord were just a few of the marques that to this very day, are dreams cars for many auto enthusiasts. 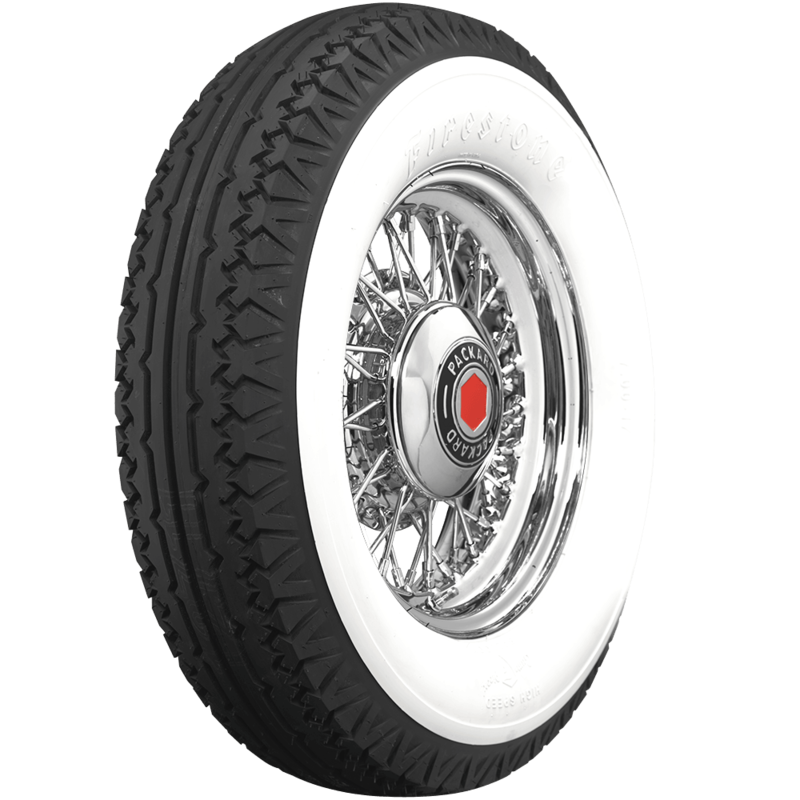 These Firestone Wide Whitewall tires have incredible period-correct detail and beautiful genuine whitewall construction. They are also available in blackwall style. 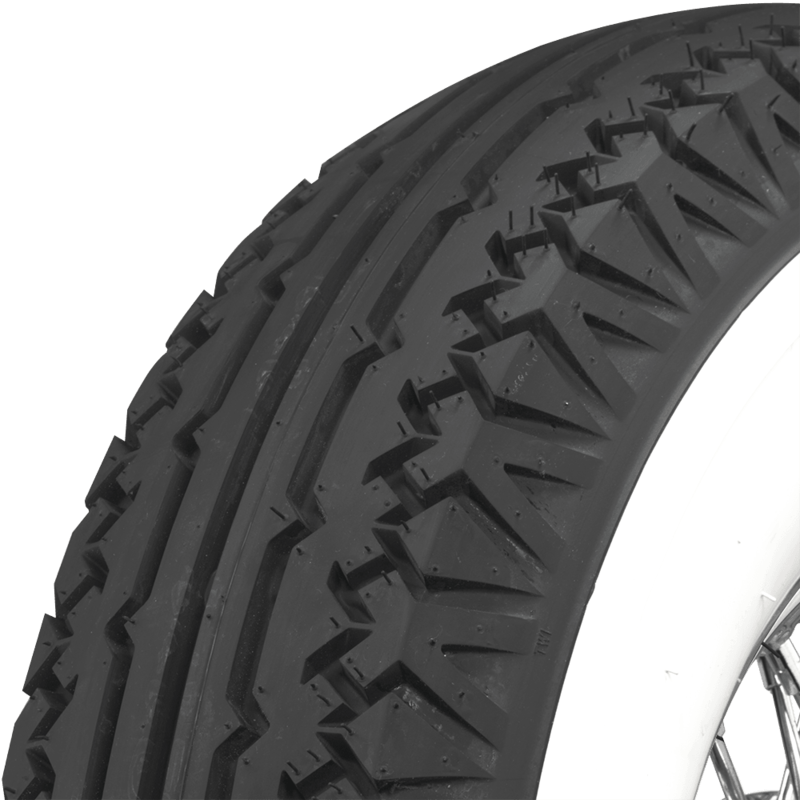 Firestone Balloon tires feature authentic Firestone lettering embossed in the whitewalls and original tread pattern designs. They're made in original molds to maintain authenticity and backed by our life of the tread warranty. 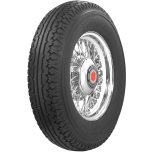 Firestone Bias Ply Balloon tire in whitewall are DOT and ECE (European Community) approved where applicable. Firestone offers the world's best selling line of vintage bias ply tires, and Firestone Deluxe Champion quality and reliability is legendary. how wide of wheel do I need to use with the Firestone balloon white wall 20 inch tires? Please let us know which specific size you are asking about and we will be happy to help. Or, select the size from the drop down menu and click on the specifications tab to see the rim width recommendations.